From then on go to the website of Dplay or use their app if supported. Please see supported devices between Dplay and Unlocator at the bottom of this page. 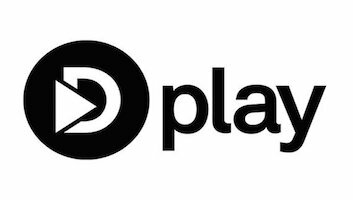 Dplay is one of the top streaming services in Sweden. Ever since its debut back in 2015, this channel has amassed a huge fan base of subscribers. Viewers in Sweden can tap into programs from a wide variety of channels including Discovery Channel, Eurosport, Channel 9, Animal Planet, and TLC. However, as good as it may be, the channel is only available for viewers in Sweden. Fortunately for Swedish expats, you get to watch Dplay abroad if you make use of Unlocator. “If you sign up for a Swedish account, you only have access to Swedish Dplay. For this reason, we use “geo blocking” measures to prevent access to Dplay outside Sweden. Unlocator Smart DNS grants you the ability to accessing geo-blocked content without having to compromise your Internet speed. This is achieved by only rerouting those URLs which would normally expose your real location to the channel you are trying to watch. A large selection of devices is supported by Unlocator Smart DNS. All you have to do is sign up for a free Unlocator trial and follow setup guides listed below in order to configure Unlocator on your Apple TV, iPad, iPhone, OS X, Windows 10, Windows 7, Windows 8, Windows XP. Once that is done, you’ll be able to stream Grand Slam tennis, Making a Murderer, Outsiders, and so much more on Dplay wherever you are. Note that Unlocator does not tamper with your IP address at all. Neither does it keep any logs of your browsing activity. Keep in mind that while Unlocator removes any regional restrictions which might not allow you to access Dplay abroad, you still need a valid Dplay subscription in order to log into the streaming service.